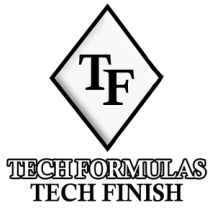 Welcome to Tech Formulas Tech Finish Located in Miramar, San Diego. We are a locally and family owned Auto detailing & Window tinting business with quality as our emphasis. We treat your car like our own and our name goes with all of our work. Tech Formulas Tech Finish arose out of the desire to give people the best quality detailing possible. Our satisfaction comes from giving each vehicle your vehicle, the utmost detailed service, whether it be just a wash or a complete detail. We do not cut corners, and are determined to maintain excellence and integrity in our work to insure you get your money's worth. We offer Complete Auto Details, Interior & Exterior Details, Paint less Dent Removals, Headlight Restoration, Clear Bra Paint Protection & our one of a kind Teflon paint protection that offers a 5 year paint protection for the painted surface of your vehicle this means Never Wax Again. Our amazing attention to detail coupled with the use of the HIGHEST quality products guarantees that you are obtaining quality services and magical results. We strive for perfection, best in class customer service and providing you and our customers with San Diego's premier vehicle service experience. We at Tech Formulas Tech Finish look forward to being your first choice for all your automotive complete body and spa treatment needs.